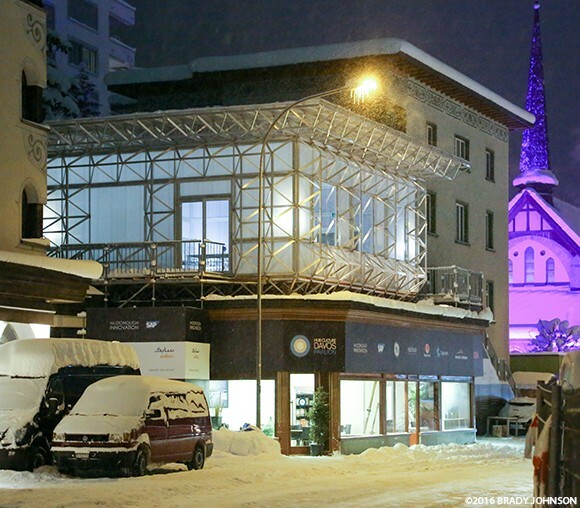 Famed designer William McDonough, of Cradle to Cradle fame, will debut his latest creation, ICEhouse, in Davos, Switzerland, as a place for those attending the World Economic Forum annual meeting to gather and discuss the future of Innovation for the Circular Economy. The structure has been designed to demonstrate the positive design framework described in the book Cradle to Cradle: Remaking the Way We Make Things, the sustainable development goals of the United Nations, and the reuse of resources implicit in the circular economy. 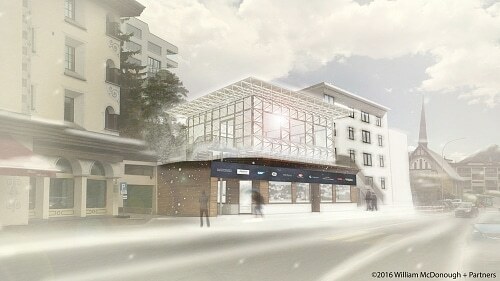 ICEhouse also is an experiment in employing the WonderFrame™, which William McDonough is designing as part of a broader vision for a simple structural system that could be erected with locally available materials (in any given location) quickly and to accommodate a range of uses. After the close of the 2016 World Economic Forum, McDonough plans to locate an ICEhouse in Amsterdam, at The Valley at Schiphol Trade Park, The Netherlands’ new National Hub for the Circular Economy (for which McDonough is a partner and master architect). ICEhouse™ and WonderFrame™ are trademarks of McDonough Innovation, LLC. Cradle to Cradle® is a registered trademark of MBDC, LLC.